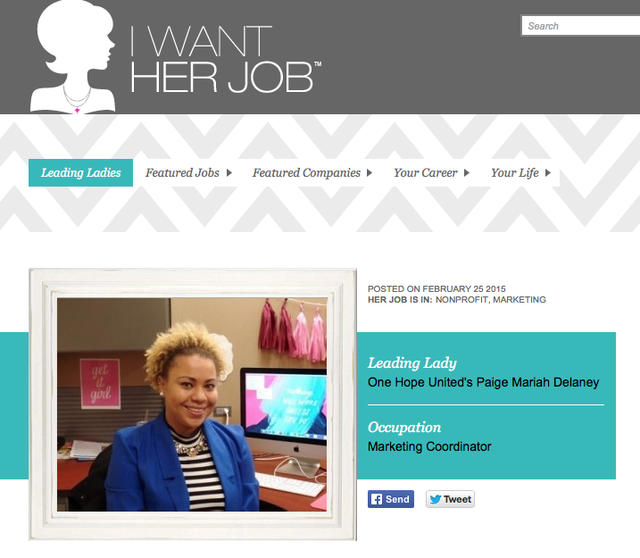 I'm soooooo excited to have been featured on I Want Her Job™! It feels like I was just looking at websites like this for career inspiration and now I'm a "Leading Lady". I'm so blessed to have begun the career of my dreams! I'm especially glad that I was given the the opportunity to share my experience with girls who are probably currently just as stressed and confused as I was this time last year. To check out the full article and my interview on I Want Her Job™, click right here!